Enjoy hours of family fun! Familiar card games you know and love with a Latter-day Saint twist! Ancient War—The Nephites and Lamanites are at war again, as usual. Sometimes the Lamanites win; sometimes the Nephites win. Which will it be when you play War? 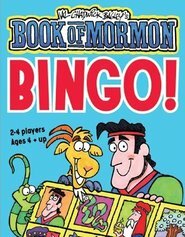 For 2 players, with variations for 3 or 4 players, ages 5 and up.